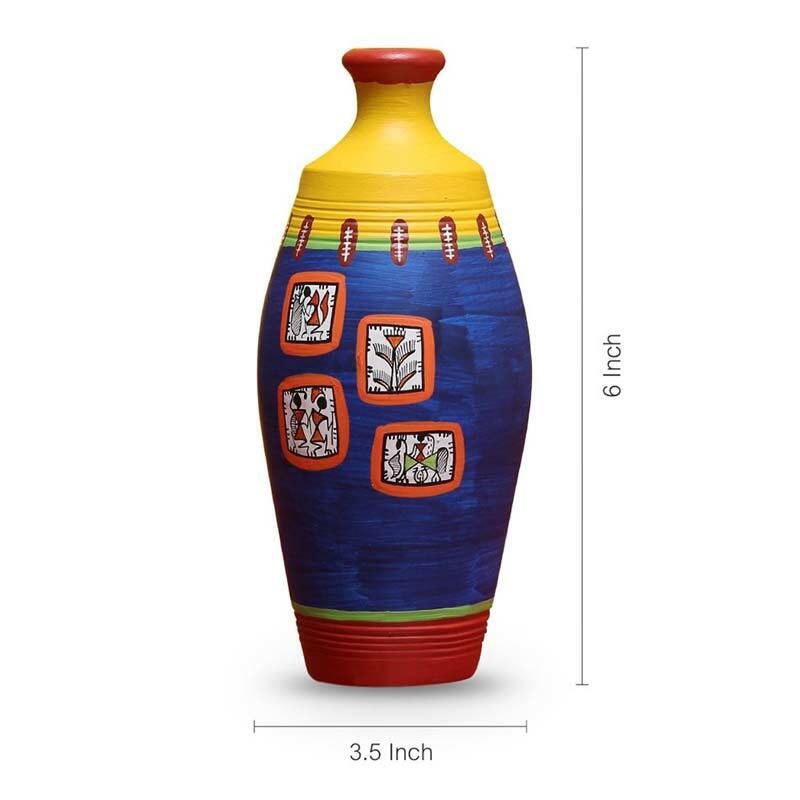 Warli pots and vases Features: This elongated neck tapered vase is perfect to be put in a living room or office. Can also be used as a decorative flower vase. Hand embellished with patches of miniature warli painting depicting a man playing a musical instrument, a man riding a horse, a plant motif and two dancing men, bringing in the aura of festivities. Handmade in earthen terracotta. Hand-painted in a shade of pastel blue, chrome yellow & red. Comes in the following dimensions: 6. 0 inch (h) 3. 5 inch (dia) inch in size. It will definitely be a perfect piece of attraction for your guests. Art type: Handmade with warli hand painting material: Terracotta dimensions: (H x dia) = (6. 0 x 3. 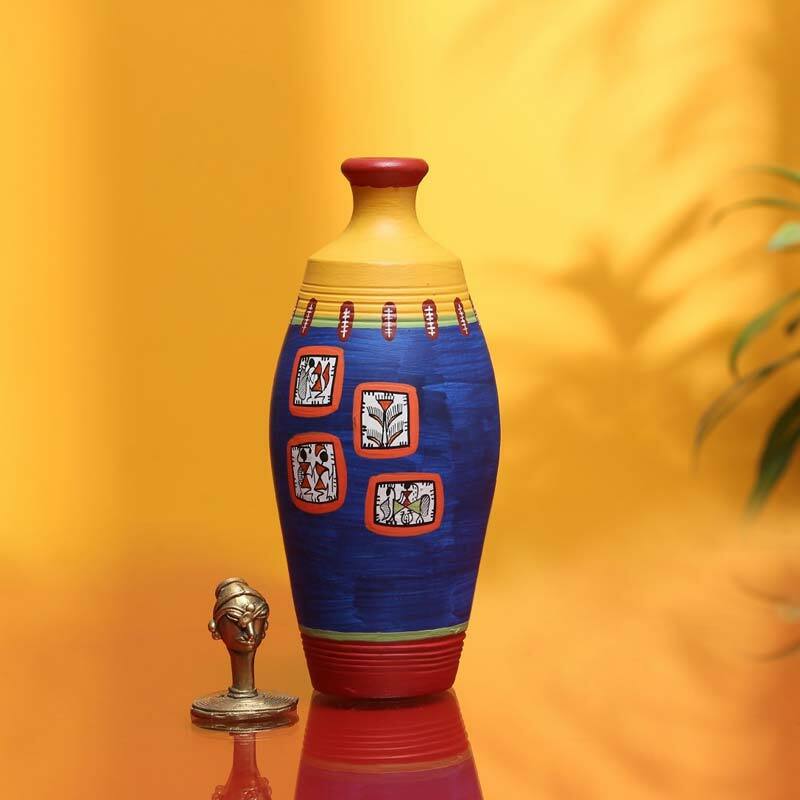 5) inch color: Pastel blue, chrome yellow & red package content: 1 vase.